It’s time for season 12! The deadline for idea submissions is October 28th, 2018. Everybody is welcome to submit his or her business idea – not just students but also people active in employment market, who are considering to change their career by establishing their own business. Only condition of the competition is that the team entering Ajujaht must not have generated any revenue with the idea over the last 6 months before the start of the competition. It is very simple. Do it via F6S web environment that is used by start-up accelerators as well as investors. You log in via Facebook, LinkedIn or by creating an account. Please find the link here. The deadline is October 28, 2018!. Can ideas or teams who have participated in previous years submit their ideas to Ajujaht again? Yes. Everybody is welcome. The only condition of the competition is that the team has not generated any sales with the idea over the last 6 months before entering the competition. How big is the prize fund? The prize fund is 60 000 €. How is the fund divided? Does all the money go to the winner? No, however, the wining team receives at least 30 000 € as a seed capital. The rest of the prize fund will be divided between other finalists as the jury and organizers of the competition decide. What area of the business should the idea be from? Only IT? No, certainly not just IT. There are no limits to the areas of business. All ideas are welcome. Does Ajujaht program have mentors? Yes. All teams participating in Ajujaht Development Program have an experienced mentor. However, teams could also bring their own mentor to the program. NB! Mentor is not going to work for the owner of the idea. He or she is an advisor, who elaborates feedback, so that the team could focus on product development. Can I send my idea in English? Estonian. 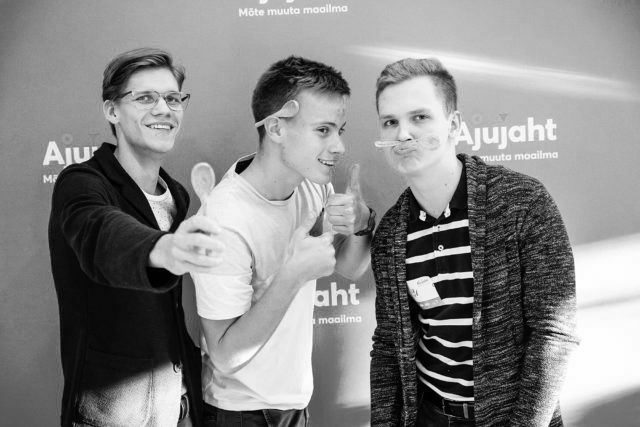 It becomes especially vital when the competition will progress as the TV show broadcasting Ajujaht is in Estonian. The organizers have the right to make reasonable exceptions depending on the circumstances.